No, you can't vary the voltage with a relay. The only way you could do it with a relay would be to have a selection of different voltages available, and then use multiple relays to select which voltage is used. Less than ideal. You need to use PWM to create a square wave with varying duty cycle. The duty cycle (the percentage of time the power is on within a given period) defines the average voltage of the output. That PWM needs to be fed into a MOSFET which will in turn control the 24V power to the lamp. It's exactly the same as driving RGB LED strips, except it's in the shape of a lamp not a long strip. Yes it is possible to vary voltage with a relay. 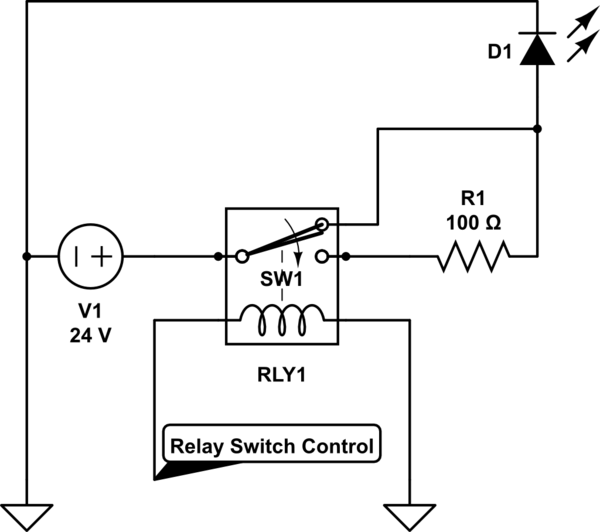 A relay is simply a 2 way 3 pole switch. By switching in a resistor to the supply voltage you have lowered the voltage and will dim the 24V light source. The actual resistor value will depend on how dim you want to go. Make sure the resistor is rated for the load you plan to place on it. Not the answer you're looking for? Browse other questions tagged transistor or ask your own question.